"How the heck do I put lashes on myself? ", "How do I not get glue all over my face? ", "How to I custom fit lashes? ", "How do I not look like a crazy person with these bad boys on?" So many questions surrounding lashes, which ones to buy and how to apply them. I am finally sharing, friends. My favorite lashes are the Demi Wispies by Ardell & the BEST lash glue is Duo's dark-tone. I just haven't found any other adhesive that works as good! Now onto the application process! Hopefully I can do a video soon! Step 1: Pull off the lash from one side, gently. 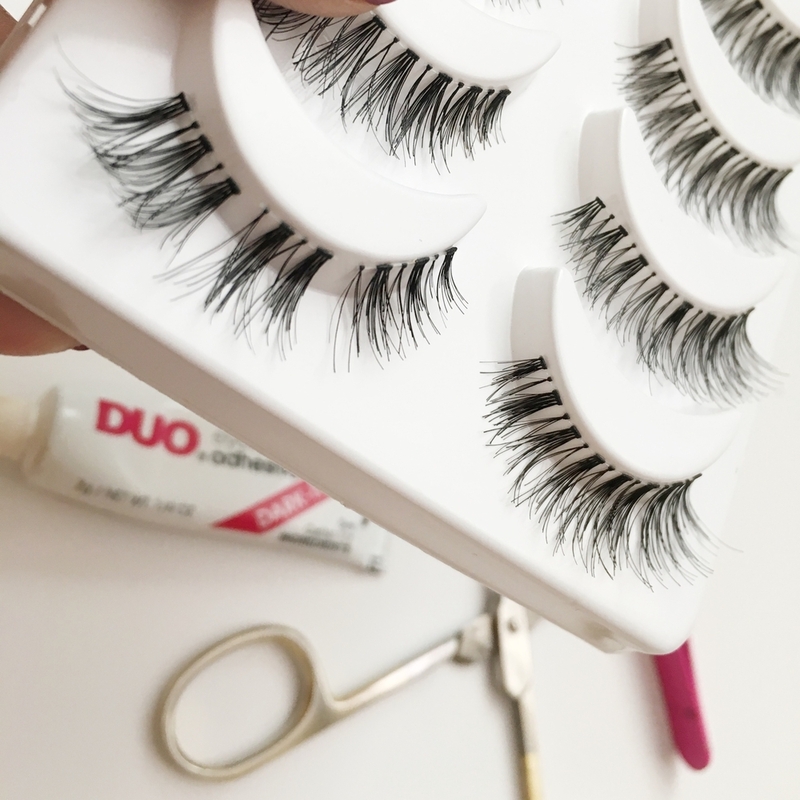 Step 2: Clip the lash into 3 pieces/chunks. Step 4: Repeat until both sides are trimmed into 3 pieces. 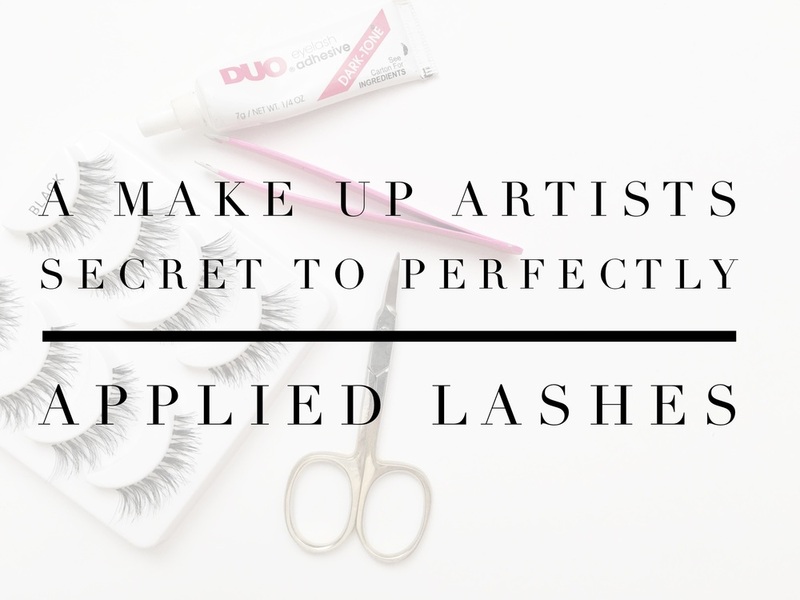 Once you have trimmed both sides, dip the edge into the tacky glue and then place in order from the outside of the eye to the inside of the eye (AFTER you have done all of your make up including eyeliner but not mascara). Make sure that each piece touches each other so that you have a seamless affect along the eye. And thats it! Simple enough, but just trimming the lash into 3 pieces allows you more control over placement and secures each piece better than one whole strip! Any questions? Comment below!